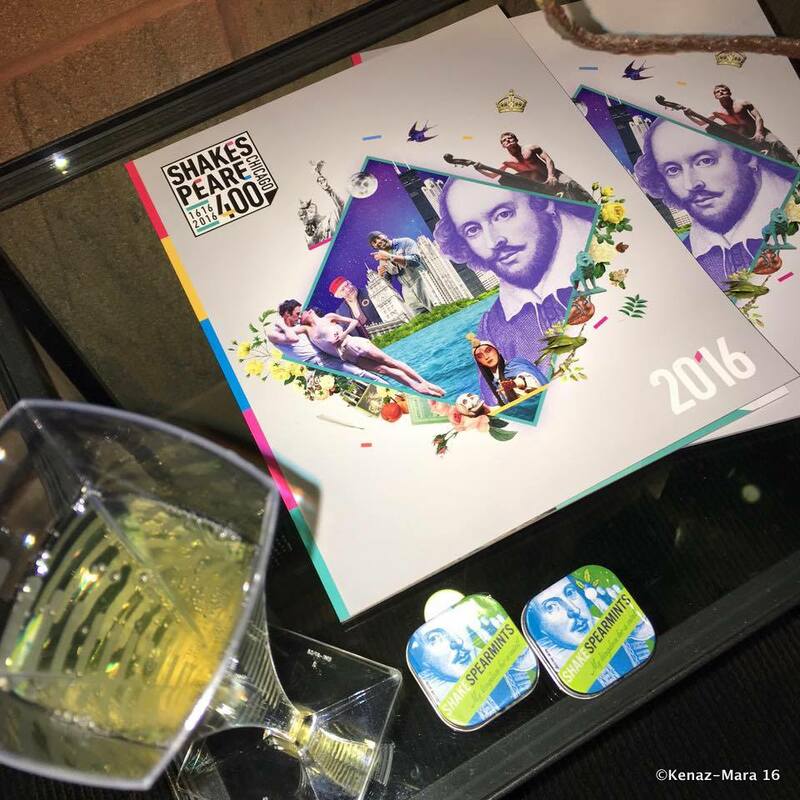 Here at ChiIL Mama and ChiIL Live Shows we adore Shakespeare's works and we've been out to lots of the Shakespeare 400 Chicago productions so far in 2016. September will be over the top, so mark your calendars and go see some shows, for the love of the bard. Here in Chi, IL we know how to celebrate and we're thrilled to be marking 400 years of the Willie's enduring mark on our world. We'll be out to review the 6 hour Tug of War Civil Strife, part 2 of Barbara Gaines' epic endeavor. We'll also be doing a mini world tour without leaving town, as we catch visiting thespians from Poland and Mexico. Check back early and often for our full reviews, interviews, theatre news, and photo filled recaps. Chicago will be treated to a wealth of Shakespeare in September 2016, as the yearlong Shakespeare 400 Chicago celebration marking 400 years of the playwright’s enduring legacy continues into the fall. Illustrating the unprecedented scale and scope of the festivities, every day of the month features events and performances across disciplines and from five renowned international companies across four continents—representing China, Poland, Mexico, India and Australia. Additional highlights include: Barbara Gaines’ continued exploration of the history plays; Culinary Complete Works chefs participating in a special event at Bon Appétit presents Chicago Gourmet; an exhibition and lecture series from award-winning scholars authors at The Newberry; the launch of the Battle of the Bard high school Shakespeare slam bringing together students from Chicago Public Schools students and across Chicagoland, a “Shakespeare in the Criminal Justice System” panel of social justice practitioners and more. Spearheaded by Chicago Shakespeare Theater (CST), Shakespeare 400 Chicago brings together the city’s world-class institutions and leading artists from around the globe to interpret and reimagine Shakespeare’s work in 850 events throughout 2016. 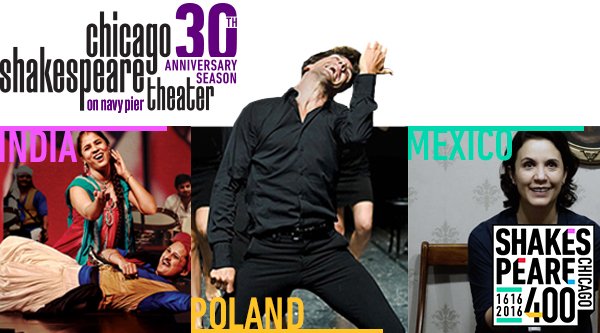 The yearlong international cultural festival is engaging more than 500,000 Chicagoans and visitors in events spanning theater, opera, music, dance, cuisine, exhibitions, workshops and discussion series. Internationally renowned Shanghai Jingju Theatre Company transforms Shakespeare’s Hamlet through one of China’s most impressive traditional art forms—the highly stylized and ornamental Peking opera. Set the in the fictitious ancient Chinese state of the Red City, The Revenge of Prince Zi Dan is co-presented by The Harris Theater for Music and Dance and Chicago Shakespeare Theater. Culinary Complete Works translates the 38 plays of Shakespeare through the talents of 38 chefs in restaurants across the city throughout 2016. Curated by star restaurateur and tastemaker Alpana Singh and developed with CST Creative Producer Rick Boynton, each participating chef will artfully interpret one of Shakespeare’s plays through food. Bon Appétit presents Chicago Gourmet - Grand Cru (September 24 & 25, 2:00–4:00 p.m.) Chicago Shakespeare Theater is partnering with Bon Appétit presents Chicago Gourmet to design an unprecedented Grand Cru experience in which a selection of participating Culinary Complete Works chefs will present their Shakespeare-inspired dishes alongside artful representations of Shakespeare's most famous scenes. This premier “event within the event” is the ultimate in culinary indulgence, complete with tastings of elite wines from around the world. The Newberry debuts the Creating Shakespeare exhibition featuring over 100 treasures from the Library and other distinguished collections. The free exhibition displays a variety of artifacts, manuscripts, printed books, artwork and music—examining how Shakespeare’s works have been reimagined and recreated throughout the centuries. India’s Company Theatre Mumbai presents their award-winning Hindi translation of Shakespeare’s Twelfth Night, Piya Behrupiya, at Chicago Shakespeare in partnership with the 2016 Eye On India festival. One of Mexico’s most innovative and courageous theater companies, Foro Shakespeare, partners with acclaimed Chilean playwright Eduardo Pavez Goye to create Enamorarse de un incendio, drawing on Shakespeare’s exploration of love and relationships in Romeo and Juliet. From Poland, Songs of the Goat presents their ensemble-driven Songs of Lear, the highest-rated performance in the 2012 Edinburgh Fringe Festival. Using gestures, words and music, the company explores the rhythms of Shakespeare’s King Lear at Chicago Shakespeare. Distinguished author and scholar James Shapiro speaks at The Newberry on the tumultuous year of 1606, which launched Shakespeare’s great, late tragedies, including King Lear. A new personal walking theater work by Australian performance group one step at a time like this (en route,Since I Suppose) performed around Lake Michigan and Navy Pier called unpathed waters, undreamed shores (or a little water in a spoon), inspired by Shakespeare’s portrayal of water throughout his writings. Anyone can download and take the journey using their own smartphones, beginning in September. High school students and teachers from 50 Chicago public, private and parochial schools prepare for Battle of the Bard—developed in partnership with Chicago Shakespeare Theater and Chicago Youth Shakespeare—in which students will perform scenes plus their own creative mash-ups from the canon in a slam-style arena. The finals take place at CST on November 14, 2016. The Shakespeare in the Criminal Justice System panel discussion features theater professionals conducting Shakespeare-focused programming in prisons and jails and a former participant exploring the positive impact of the work on incarcerated individuals. Chicago Public Library’s Check Out Shakespeare initiative offers free screenings of Shakespeare and Shakespeare-inspired films; a new Shakespeare Read-Aloud Book Club; special online resources that offer historical information about Shakespeare and his works; and even a chance to learn to talk like Shakespeare. Pritzker Military Museum & Library and Chicago Shakespeare Theater will provide new access to Shakespeare for active and retired military personnel through a new four-part video series, entitledShakespeare and the Citizen Soldier, engaging military bases around the world through varied perspectives on the playwright’s work on war. 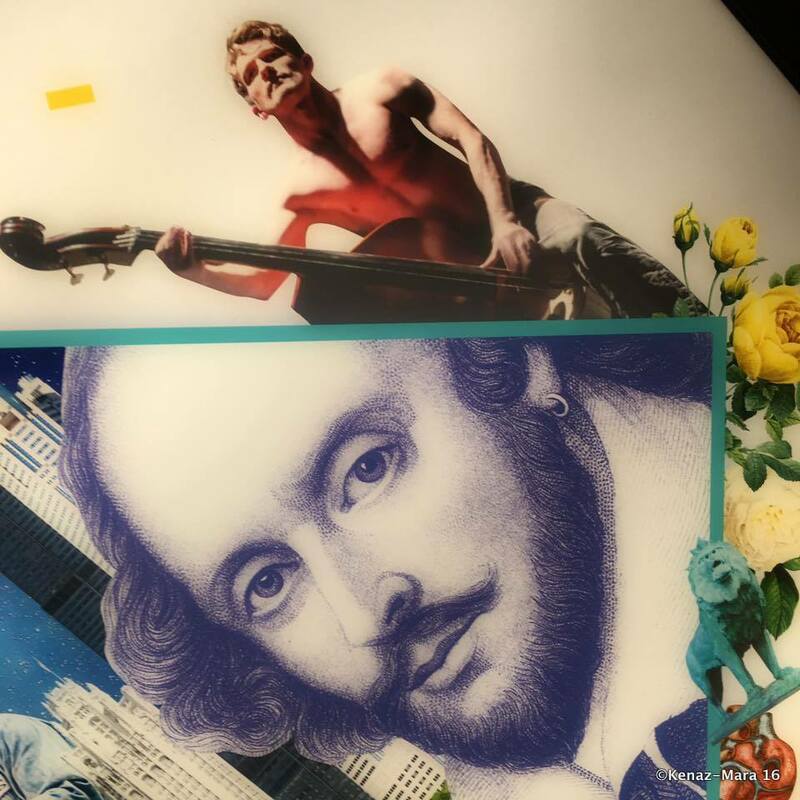 City Desk 400 correspondents from ten of Chicago’s world-class universities respond online to the remarkable body of artistic work encompassed by Shakespeare 400 Chicago. 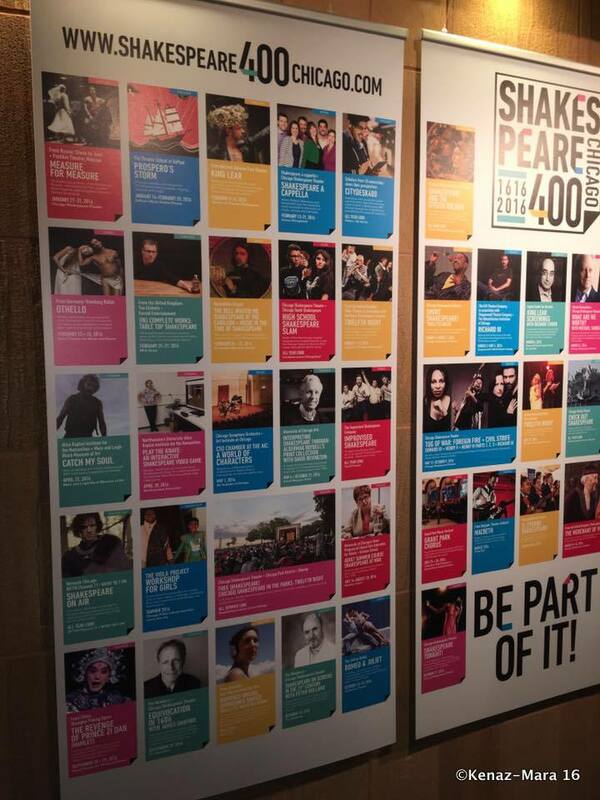 For the most up-to-date information about programming, tickets and venues, go to www.shakespeare400chicago.com. Take a journey into Shakespeare’s words and imagination, amongst the tempests, the wrecks and the sea-changes of life, death and transformation rolling in on the waves of his genius. This new personal walking theater work by multi-award-winning Australian performance group one step at a time like this (en route, Since I Suppose) has been specially commissioned and created to mark the 400th anniversary of Shakespeare’s death. 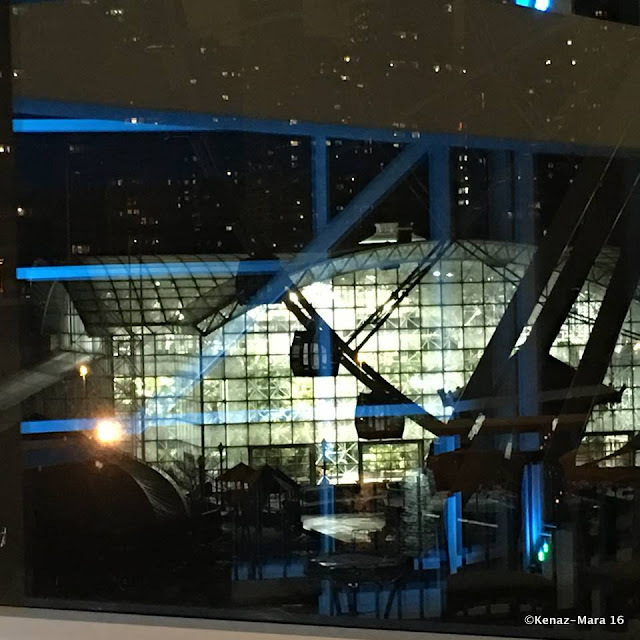 Performed in and around the environs of Lake Michigan and Navy Pier, unpathed waters, undreamed shores will take its audiences on a contemplative voyage into Shakespeare’s lifelong engagement with imagery of water, sea, tears and oceans—and their echos in our own lives today. Available for free download beginning in September. September 15, 2016 – 7:30 p.m.
September 16, 2016 – 7:30 p.m.
September 17, 2016 – 8:00 p.m.
September 18, 2016 – 2:00 p.m. In the spirit of addictive epic sagas like Scandal and House of Cards, tensions build as the origin stories of Shakespeare’s most iconic rulers unfold with surprising poignancy and humor. 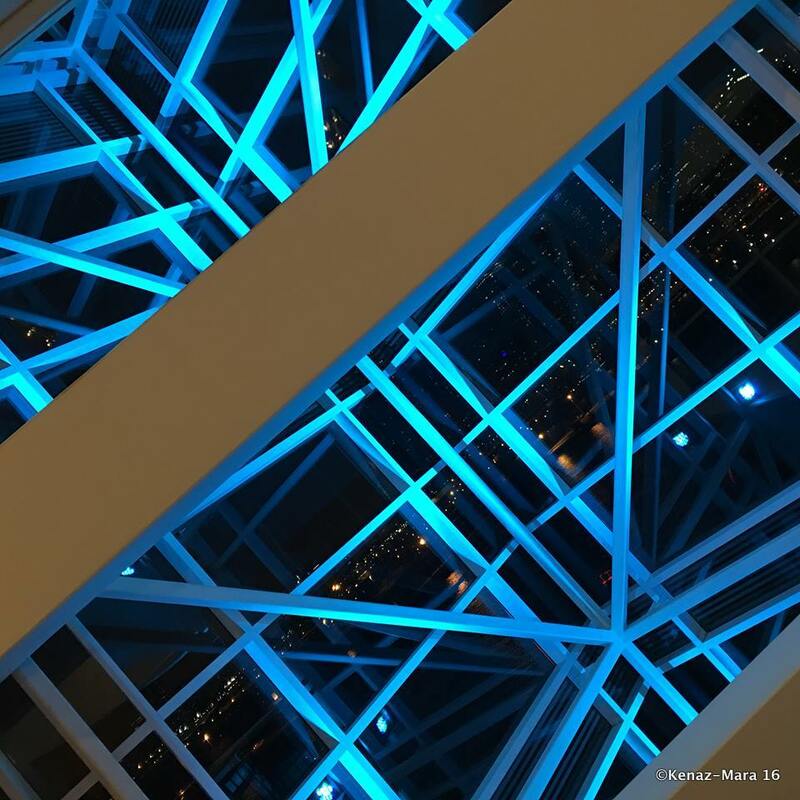 Fueled by live music and stunning staging, Chicago Shakespeare Artistic Director Barbara Gaines’ electrifying adaptation distills six Shakespeare plays into two action-packed dramas, tracing the rise and fall of kings and the uncommon courage of common men. The adventure began in the spring with Foreign Fire—laying bare England’s war with France in Edward III,Henry Vand Henry VI, Part 1, and the very personal consequences on all who bear arms. The story continues in the fall as focus shifts to the homefront in Civil Strife. Family divisions launch a country at war with itself in Henry VI, Parts 2 and 3 and Richard III—and nobility and commoners alike pay the price. All in all, each part (Foreign Fire andCivil Strife) is approximately six hours, including several brief intermissions and a meal break. September 15, 2016 – 11:00 a.m.
September 17, 2016 – 4:00 p.m.
September 18, 2016 – 1:00 p.m.
September 21, 2016 – 11:00 a.m.
September 24, 2016 – 4:00 p.m.
September 25, 2016 – 1:00 p.m.
September 28, 2016 – 11:00 a.m.
September 30, 2016 – 5:00 p.m.
October 1, 2016 – 4:00 p.m.
October 2, 2016 – 1:00 p.m.
October 5, 2016 – 5:00 p.m.
October 7, 2016 – 5:00 p.m.
October 8, 2016 – 4:00 p.m.
October 9, 2016 – 1:00 p.m.
One of Mexico City’s most innovative and courageous theater companies, Foro Shakespeare is world-renowned for its social justice work and inventive spirit. Enamorarse de un incendio, its first production with acclaimed Chilean playwright Eduardo Pavez Goye, draws on Shakespeare’s exploration of love and relationships in Romeo and Juliet. Aimed at breaking the traditional mold of theater in Mexico, Foro Shakespeare utilizes camera-work and film projection to highlight and hide moments during three conversations on the phenomenon of love. September 22, 2016 – 7:30 p.m.
September 23, 2016 – 7:30 p.m.
September 24, 2016 – 7:30 p.m.
A must-see exhibit for every Shakespeare fan, Creating Shakespeare is a masterpiece—featuring over 100 items, including treasures from The Newberry Library and other distinguished collections. The exhibition displays a variety of artifacts, manuscripts, printed books, artwork, music and more, while examining how Shakespeare’s works have been reimagined and recreated throughout the centuries. Join The Newberry for a series of public programs throughout the fall of 2016, including lectures and curator-led tours of the galleries. This panel discussion features theater professionals conducting Shakespeare-focused programming in prisons and jails. Across the world, Shakespeare offers individuals who are incarcerated much-needed opportunities for reflection and analysis, emotional support as well as the critical opportunity to cultivate self-esteem and communication skills. Hear from US-based and international artists collaborating with inmates behind the walls. Learn from one participant how these programs—and Shakespeare’s enduring stories—can have a lifelong effect. Confirmed panelists include Kate Powers from Rehabilitation Through The Arts, Curt Tofteland from Shakespeare Behind Bars, Agnes Wilcox of Prison Performing Arts, and an ensemble member from Mexico City-based Foro Shakespeare. First premiered at Shakespeare’s Globe in London, Piya Behrupiya is an award-winning Hindi translation of Shakespeare’s Twelfth Night, filled with a cast of unforgettable characters. Amidst the household of Olivia, two campaigns are being quietly waged: one by Duke Orsino against the indifferent heart of Olivia; the other by an alliance of servants and hangers-on against the high-handedness of her steward Malvolio. When Orsino engages the cross-dressed Viola to plead with Olivia on his behalf, a bittersweet chain of events follows. Part of the 2016 Eye On India festival, the production combines cruelty with high comedy and the pangs of unrequited love with some of the subtlest poetry and most exquisite songs Shakespeare wrote. September 27, 2016 – 7:30 p.m.
September 29, 2016 – 7:30 p.m. Performed in Hindi with projected English translation. Internationally renowned Shanghai Jingju Theatre Company transforms Shakespeare’s Hamlet into one of China’s most impressive forms of traditional art, setting the story in the fictitious ancient Chinese state of the Red City. Here, as in Shakespeare’s classic, the prince becomes disillusioned after discovering his uncle has killed his father and seduced his mother. The stage presentation strictly follows the rules of Chinese dramatic aesthetics, famous for its succinct and meaningful depiction. Described by The Guardian as “an evening that makes you sit up, look and listen afresh at a familiar story,” this Peking opera is sure to thrill. September 28, 2016 – 7:30 p.m. The Newberry Library and Chicago Shakespeare Theater invite three great American scholars from the world of Shakespeare to address three very different topics. The series will open with James Shapiro, distinguished author of several widely popular Shakespeare books, including 1599: A Year in the Life of William Shakespeare. Shapiro will speak on the tumultuous year of 1606 that launched Shakespeare’s great, late tragedies, including King Lear, the subject of his latest book. In addition to Shapiro’s talk, lecture-goers have the opportunity to explore the Newberry’s ongoing fall exhibition, Creating Shakespeare. Experience the beauty of Shakespeare translated through the immense talents of 38 of Chicago’s most celebrated chefs. 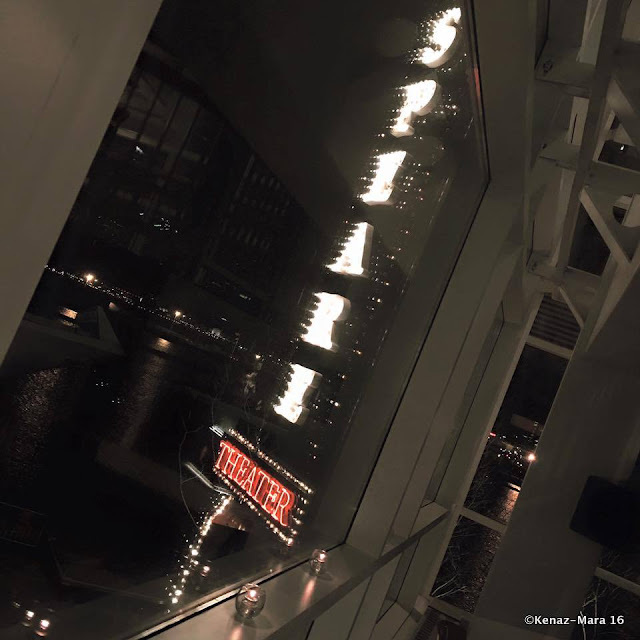 Culinary Complete Works is an unprecedented exploration of food and theater, offering a complete culinary tour of the Bard’s plays through the vibrant and diverse restaurant scene that makes Chicago an international dining destination. Culinary Complete Works is curated by Alpana Singh, proprietor and master sommelier of The Boarding House. The participating chefs reflect the incredible breadth of cuisine that is Chicago, hub of the dining world today. From award-winning fine dining to hidden neighborhood gems, Shakespeare is served at restaurants across Chicago. This yearlong experience features some of the city’s best-known and most inventive chefs. Rick Bayless (Topolobampo) makes magic in the kitchen channeling A Midsummer Night’s Dream. 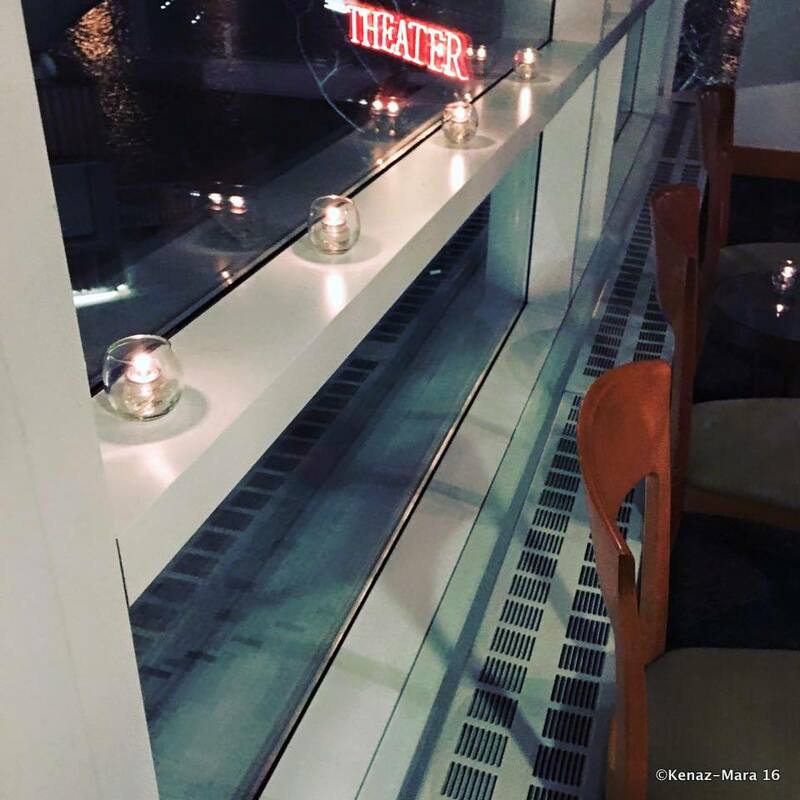 Tony Mantuano’s (Cafe Spiaggia) Italian cuisine marries love and tragedy interpreting Romeo and Juliet. Art Smith (Blue Door Kitchen & Garden) tackles the iconic tragedy of King Lear. Ryan McCaskey (Acadia) explores The Winter's Tale at his newly ranked two-Michelin-star restaurant. And Carrie Nahabedian (Naha) brings bold experimentation to Measure for Measure—to name just a few highlights. Each participating chef’s vision takes flight with the help of Rick Boynton, Chicago Shakespeare Theater’s Creative Producer, whose expertise helps craft unique dishes inspired by the thematic richness found in each play. Taste the passion, jealousy, humor, battle, love and forgiveness in a tantalizing experience that lasts all year long. Throughout the year, Chicago Public Library will offer dozens of screenings of Shakespeare and Shakespeare-inspired films; a brand new Shakespeare Read-Aloud Book Club, featuring Richard III, Romeo and Juliet and A Midsummer Night’s Dream; and monthly peeks into its Theater Collection for interesting artifacts of fellow Chicagoans performing, reading and engaging with Shakespeare throughout our city’s history. Online resources that offer historical information about Shakespeare and his works, words he created, and even a chance to learn to talk like Shakespeare through the Mango Languages database, will be accessible from anywhere in the world. 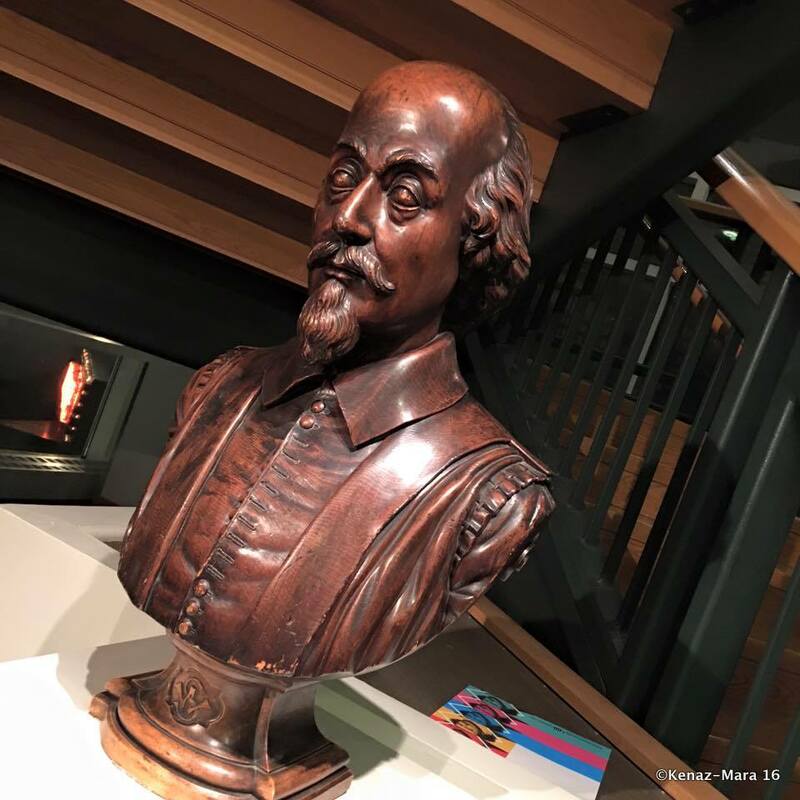 Throughout the year, the Library will prominently feature their extensive collection of Shakespeare’s plays and huge variety of books, films, audiobooks, musical scores and other works that he has inspired. 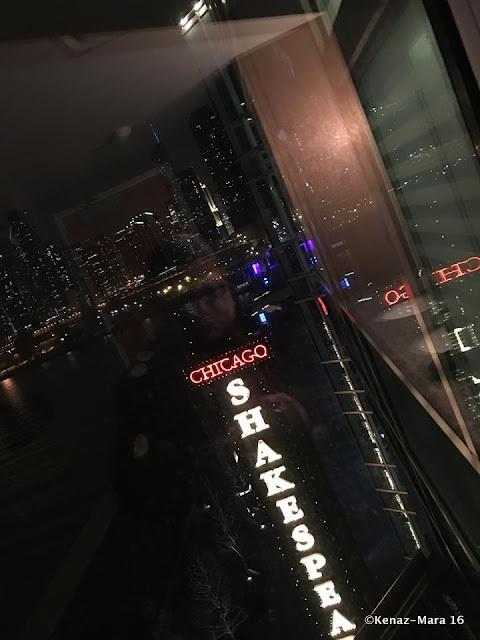 Chicago Shakespeare Theater and Chicago Youth Shakespeare join forces to create a high school Shakespeare slam uniting teams from 50 public, private and parochial schools from across the many neighborhoods of our city and collar counties. Saturday workshops, after-school rehearsals and regional preliminary bouts culminate in the Finals Bout, held at Chicago Shakespeare in its beautiful Courtyard Theater. Three hundred high school students will perform scenes plus their own creative mash-ups from the canon in a slam-style arena. The program honors the unparalleled power of Shakespeare’s language when it is catalyzed by students’ imagination. 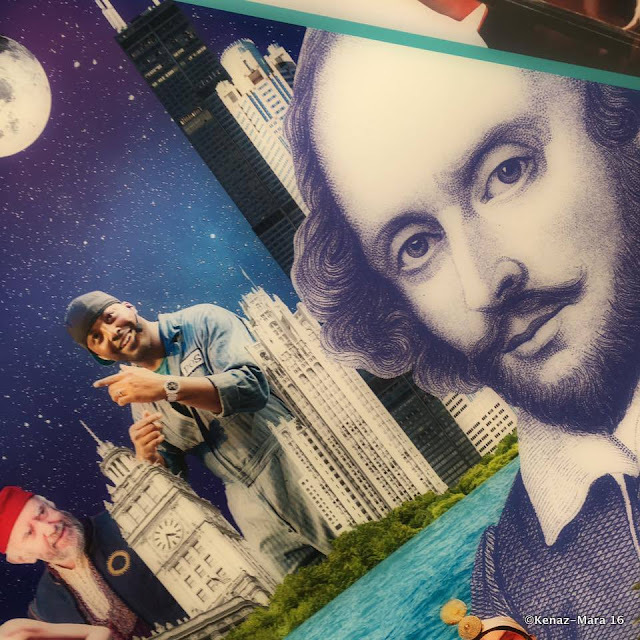 Building a culture of community that spans the Chicago region, Battle of the Bard celebrates Shakespeare’s capacity to speak to all. Chicago is home to the incomparable Pritzker Military Museum & Library. This internationally renowned institution celebrates the personal journey of the citizen soldier and honors the courage of those who have served. Shakespeare’s canon has played a critical role in shaping our modern view of war and warfare, and the Museum & Library is proud to serve as a lead partner for Shakespeare 400 Chicago. From the inspirational St. Crispin’s Day speech of Henry V to the master class in political rhetoric that is Mark Antony’s call to action in Julius Caesar, across centuries, monarchs and soldiers alike have taken solace in Shakespeare’s words. In fall 2016, Pritzker Military Museum & Library and Chicago Shakespeare Theater will provide new access to Shakespeare for active and retired military personnel. A new four-part video series, entitled Shakespeare and the Citizen Soldier, engages military bases around the world through varied perspectives on Shakespeare and the work of the citizen soldier. Hosted by Pritzker Military Museum & Library Executive Director Kenneth Clarke, the series will include interviews, dynamic excerpts and demonstrations from Shakespearean actors, military personnel, war historians and weaponry experts. Chicagoans will have access to this exciting program later this year on WYCC, WTTW and around the world on the Pritzker Military Museum & Library YouTube channel. Based on an audience suggestion, the critically acclaimed Improvised Shakespeare Company creates a fully improvised Shakespearean masterpiece before your very eyes. Every “staggeringly brilliant” production employs plotlines and themes inspired by the Bard himself (Time Out Chicago). The players effortlessly invent Shakespearean dialogue and rhyming couplets in verse, bringing you “a night of Elizabethan tomfoolery” that’s “downright hilarious” (Time Out Chicago, Edge Miami). Named Chicago’s best improv group by both Chicago Reader and Chicago Examiner, this is one production that would be a tragedy to miss. Drawing inspiration from the playful spirit in A Midsummer Night’s Dream, PUCK is a sharp and spritzy petite saison, with a delicious flowery, spicy dry-hop aroma. 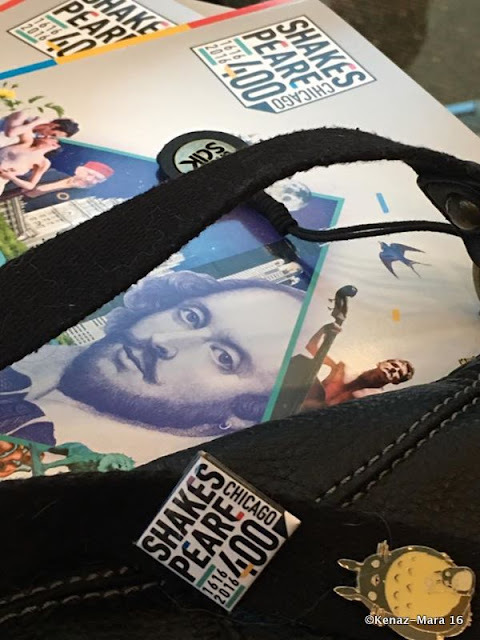 Joining in on the anniversary celebration, PUCK will be released with a limited-edition Shakespeare 400 Chicago label, sold and served across the US in 2016. North Coast Brewing Company, a pioneer in the craft beer movement with more than 70 awards in national and international competitions, will mark the release with special events and PUCK “pop-ups” throughout Chicago during the quadricentennial festivities. 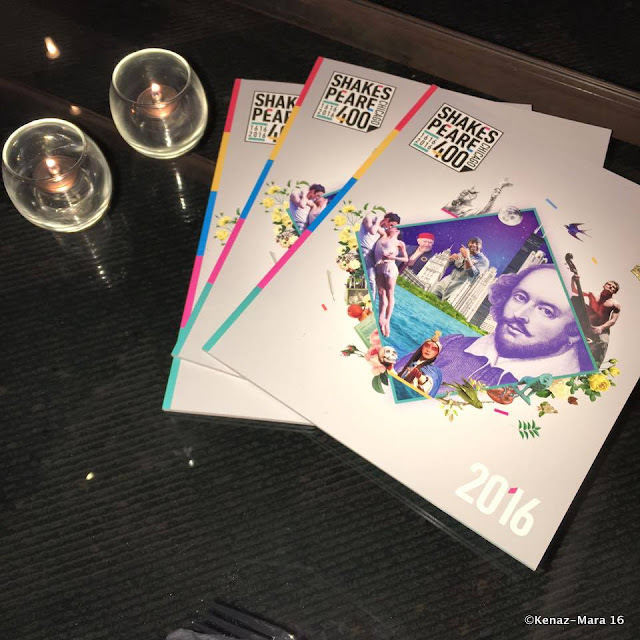 Shakespeare 400 Chicago is a yearlong international arts festival in 2016 celebrating the vibrancy, relevance and reach of Shakespeare as the world commemorates the four hundred years since the playwright’s death in 1616. 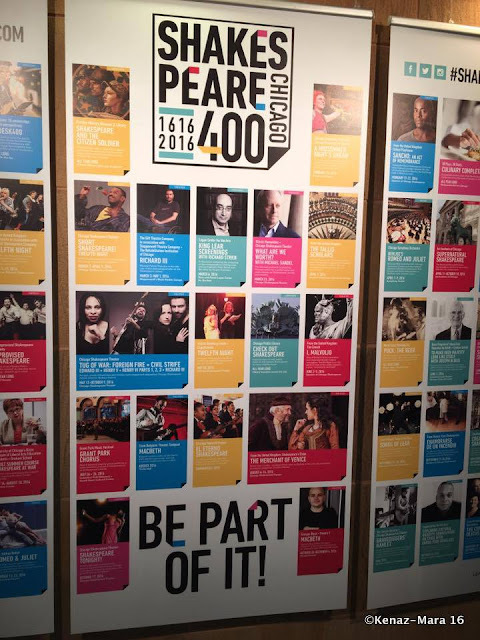 Spearheaded by Chicago Shakespeare Theater, the festival unites 60 of the city’s world-class institutions, and welcomes scores of leading artists from nations around the world including Australia, India, Mexico, the United Kingdom and beyond. Events spanning theater, opera, music, dance—even cuisine—celebrate, interpret and reimagine Shakespeare’s work. 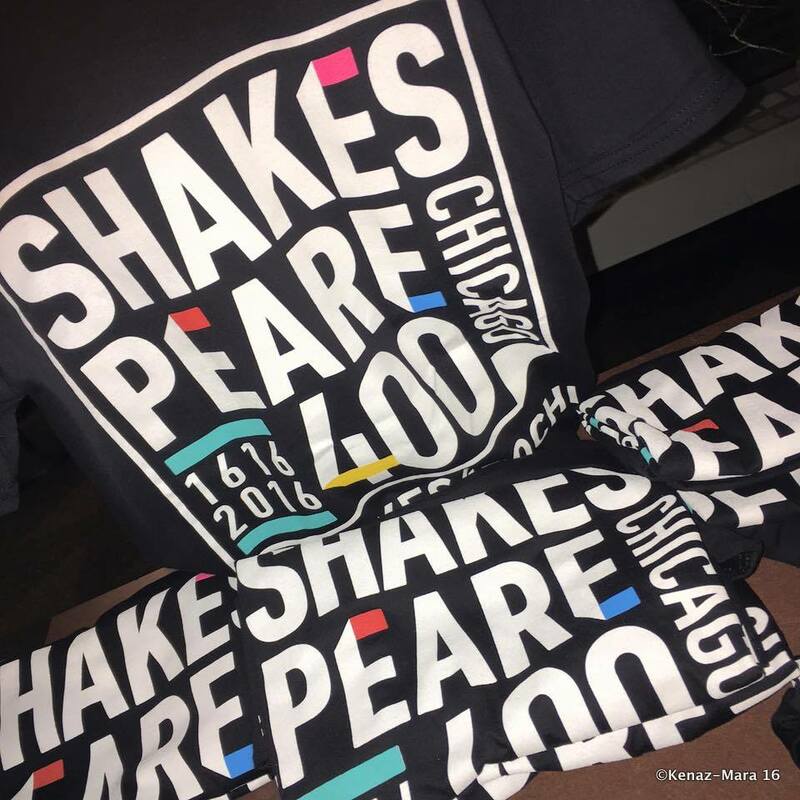 Shakespeare 400 Chicago will engage more than 500,000 Chicagoans and visitors to our City through 850 events. 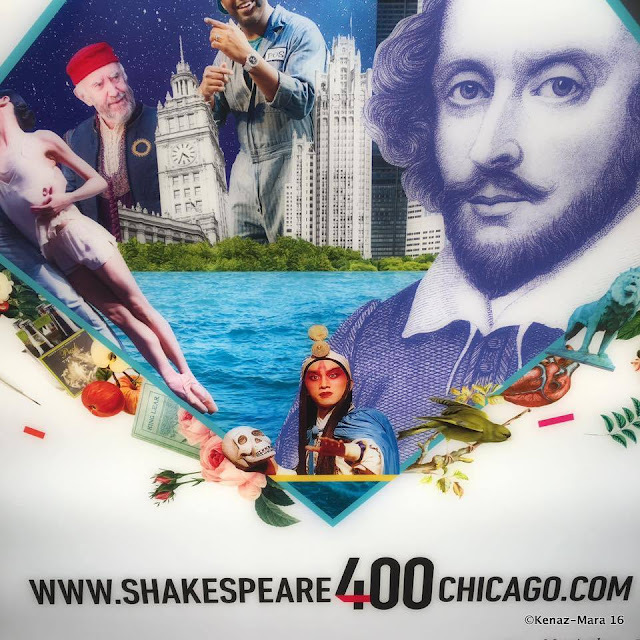 With leading support from the Julius Frankel Foundation, the John D. and Catherine T. MacArthur Foundation and the Pritzker Military Museum & Library, this quadricentennial celebration is the world’s largest and most comprehensive celebration of Shakespeare’s enduring legacy.